They found a Jewish magician, a false prophet, named Bar-Jesus, meaning Elymas. He tried to turn Sergius Paulus away from listening to Saul and Barnabas. Paul resisted the efforts of Elymas to turn aside Sergius Paulus from the faith. Elymas was blinded. Sergius Paulus, an intelligent man who served as proconsul, believed the Word. Saul also came to be known as Paul. This is the name he would use throughout his ministry to the Gentiles. From this time on, Paul became the lead man in the work that was being done. Paul and his companions set sail for Perga in Pamphylia. 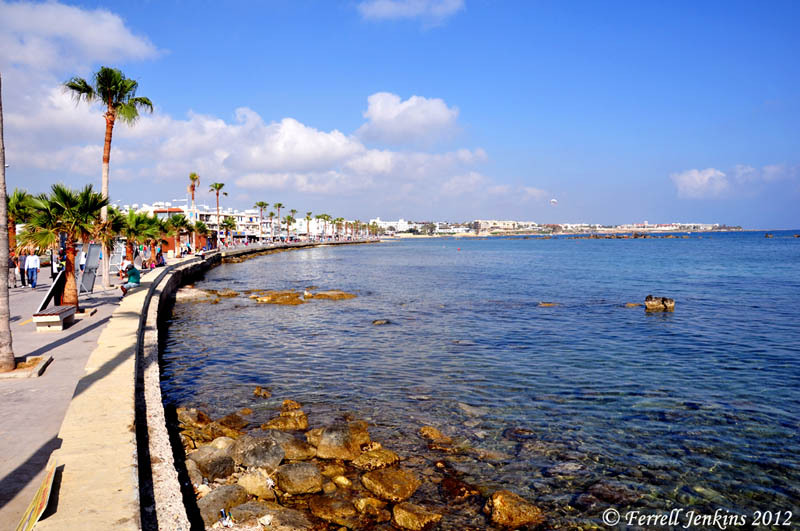 Tuesday afternoon and evening, and Wednesday morning, I visited Paphos. The harbor used by Paul and Barnabas is today a harbor used for pleasure boats and fishing boats. Tuesday afternoon the town was filled with tourists. I though a lot about the events we have listed above. The harbor at Paphos. Photo by Ferrell Jenkins. The archaeological park is large, but only a small portion of it has been excavated by archaeologists. The most impressive items at the site are the numerous houses with elaborate mosaics. These houses began to be built in the 2nd century A.D. and continued in use until the 7th century. 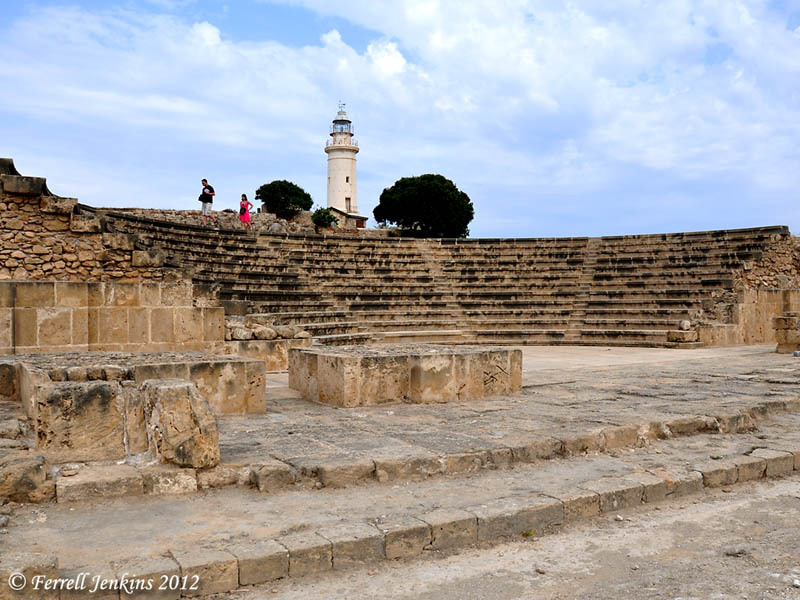 Paphos was an important city during the Hellenistic period., and into the Roman period. The few structures dating to the time of Paul (or earlier) include the Asklepion, the odeion, and the Roman agora which still needs to be excavated. The photo below shows the odeion. The lighthouse of Paphos in the background is of recent origin, but is built upon Roman foundations. The Odeion at Paphos. Photo by Ferrell Jenkins. My friend, Leon, was able to join me by this afternoon. Tonight we are in Nicosia, Cyprus. This entry was posted in Bible Places, Bible Study, New Testament, Photography, Travel and tagged Apostle Paul, Cyprus. Bookmark the permalink.